Due to the success of our Summer Writers’ Residency, we have re-imagined the program as an 8-week Fall Writers’ Residency, which will launch on September 22nd. All sessions will meet on Thursdays, from 5:00-8:00pm, at Lehman College. This intensive and intimate workshop experience will provide the opportunity to read, write, workshop, provide and receive feedback, and learn together to improve your writing craft and explore publication options. Writers of all levels of experience are encouraged to apply! 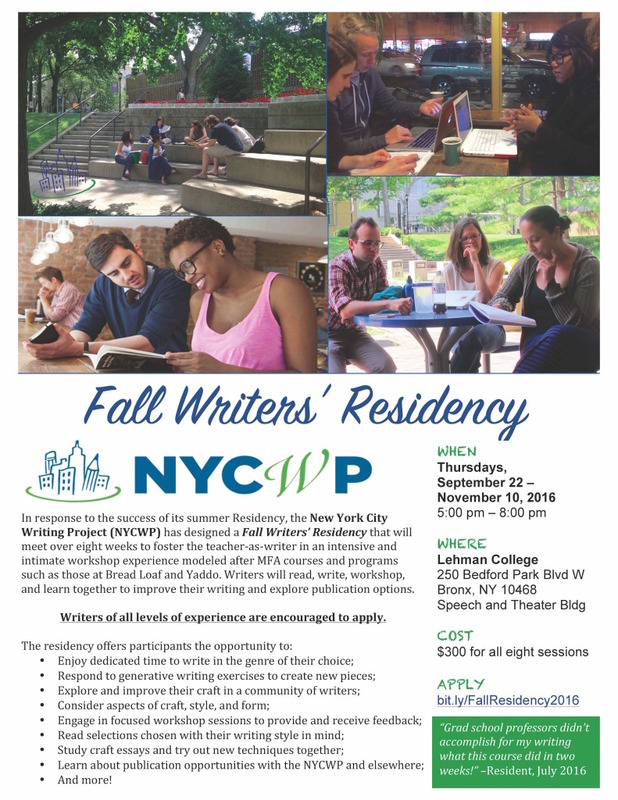 You can find more information in the attached flyer, and apply at bit.ly/FallResidency2016 by September 11th.